Use boneless chicken thighs to create a flavorful, fantastic protein that’s good on a plate or in burritos, tacos, salads, and more. It freezes well for later eating, too! Cut the chicken thighs into thirds and place in a 4 to 6 quart slow cooker. Pour the salsa over them, followed by the garlic, cumin, and canned chiles. Give it a stir then pop the lid on. Cook on low for 4 to 5 hours; if the chicken was still a little frozen, cook on high for an hour or so to speed the process. 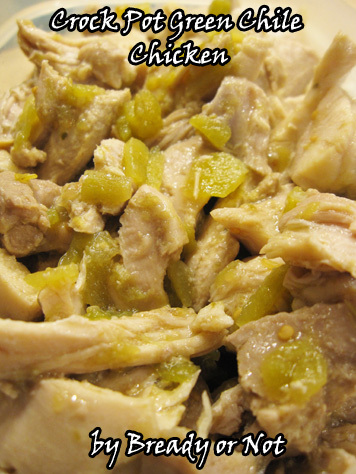 Use a slotted spoon to remove chicken pieces, and shred or cut them into chunks. Place back in crock pot to soak in juice for another 20 minutes. Serve chicken on a plate, or in burritos, tacos, salads, or just about anything. Freezes fantastically for later dining.